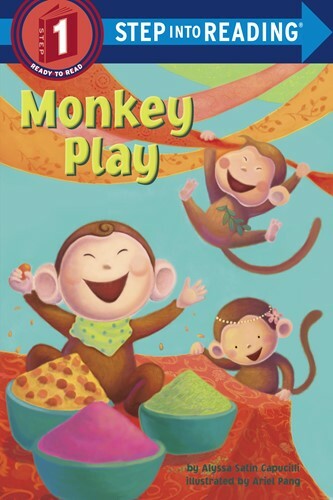 Monkey Plays is an energetic companion to Bear Hugs and Panda Kisses. One by one, monkeys add to the jungle fun-swinging from palm trees, hiding in an Indian market, and playing from sundown to sun-up! This playful Step 1 features a rhyming text with a bouncy rhythm and bright illustrations.